A vision stretching every imagination to its limit surrounds the concept of space elevators. On a vertical tether connecting Earth’s surface to a large object in space, electric vehicles will climb up the tether carrying payloads and people. The vehicles are powered by energy produced by sunlight and laser light emitted from Earth’s surface. Comparable to everyday trains, the elevators will need several days to reach their destination. However, trains are launched once a day. 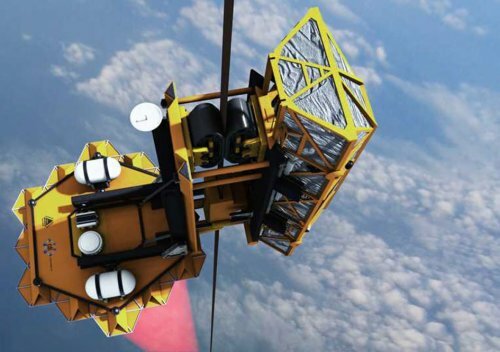 With potentially providing access to space much cheaper and safer than any traditional, chemical fuel rocket can, proponents of space elevators are determined to see this technology put to use as soon as possible. At its annual meeting at Museum of Flight in Seattle last month, the International Space Elevator Consortium (ISEC) offered a new version of space elevator configuration and ways to achieve the goal of building one. Of particular interest were workshops on global cooperation on creating nodes in the ocean acting as anchors on Earth for the elevator. Peter Swan, president of the International Space Elevator Consortium, said: "The conference was a rewarding experience … good ideas, new concepts and great participation. The ISEC was developed to specifically broaden the knowledge about space elevators and incrementally reduce the risk for its development," Swan said. "We’re trying to address the unknown unknowns that are out there." Among many participants, officials of Japan Space Elevator Association presented several versions of the climber, and encouraged the idea of creating a worldwide event to announce competition for building the space climber.